Enormous, elaborate and highly decorated, the Great Bookcase was made to hold art books in the London office of William Burges (1827–81), the eminent Victorian architect and designer. 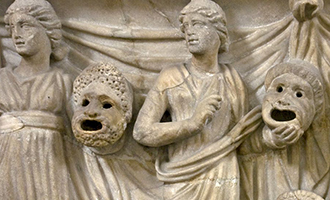 The Classics and English degree at Oxford gives students the opportunity to study the literature and culture of the ancient and modern world, both separately and in comparison; to trace ideas, forms, and genres across cultures and time; and to think about continuities and change in how people think, write, and imagine their world. All students study either Latin or Greek or both, so that they can encounter ancient literature in the original language(s). Course I is a three-year course for candidates with an A-level or equivalent in either Latin or Greek; Course II is for those who have not had the opportunity to study either language at school or college and includes a preliminary year, in which students learn Latin or Greek alongside some study of classical literature, making it a four-year course. 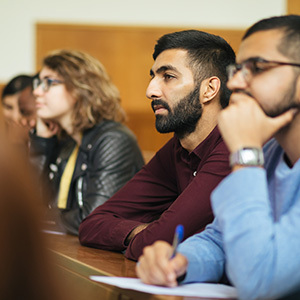 You can choose to specialise in what you find most interesting from each side of the course, taking a range of options in English literature, and in ancient literature, history, philosophy, and linguistics. But the degree also integrates the two sides of its course, offering several papers designed specifically for the kind of comparative work that the course encourages. In the first year (second, for Course II), students take a paper in English literature of the sixteenth and seventeenth centuries – the period during which writers were most consistently and intensely engaged with the languages and literatures of ancient Greece and Rome. Among the highlights of the latter two years are the four ‘link papers’: all students take Epic, and read and compare authors such as Homer, Virgil, Milton, Alice Oswald, and Derek Walcott; and then choose to take either Comedy, Tragedy, or Reception (in which you study the reception of ancient literature in 20th-century poetry). (Students who choose to take up a second classical language in their second (third for Course II) year only take Epic.) The dissertation allows students to pursue an independently devised topic with an expert supervisor, which may combine the subjects or focus on an aspect of one of them. All of the courses allow students to pursue the twists and turns of literary genres across time. Oxford has a long and distinguished tradition of research and teaching in both Classics and English, and possesses remarkable library provision in both subjects. Oxford has the largest Classics department and programme of courses in the world, with outstanding teaching, library and museum resources, including the Sackler and Bodleian Libraries, the Ashmolean Museum and a designated Classics Centre. The English Faculty is the largest English department in Britain. 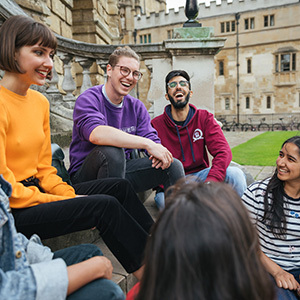 All Oxford colleges have tutors in English who are responsible for tutorial teaching (in groups of three students or fewer) in their own college. Many also give lectures to all students in the English Faculty. You therefore have the opportunity to learn from a wide range of specialist teachers. 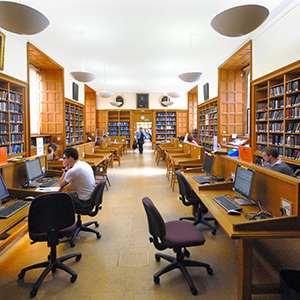 Library provision for English at Oxford is exceptionally good: all students have access to the Bodleian Library (with its extensive manuscript collection), the English Faculty Library, their own college libraries, and a wide range of electronic resources. A typical week is structured around two tutorials in different subjects, with the rest of your time divided between lectures, classes (including languages classes) and private study. Most of your work will be preparation of essays for tutorials (you will be expected to produce between eight and twelve pieces of written work during a term), however, language-learning and reading will also require considerable time. Much of your teaching will take place in your college, but you will attend three to four lectures a week in either faculty. Tutorials are usually up to three students and a tutor. Class sizes may vary depending on the options you choose. There would usually be no more than around 15 students. Most tutorials, classes, and lectures are delivered by academics who are specialists in their subject. Many are world-leading experts with years of experience in teaching and research. Some teaching may also be delivered by qualified postgraduate students studying at doctoral level. This table is a summary of Course I. In Course II students have a preliminary year studying Latin or Greek, and then follow the structure outlined below. To find out more about how our teaching year is structured, visit our Academic Year page. Note: Course II students spend an additional preliminary year learning Latin or Greek, alongside some study of classical literature. Four written papers form the first University examination, together with a submitted portfolio of two essays for Introduction to English language and literature. All exams must be passed, but marks do not count towards the final degree. A full list of current options is available on the Classics course website and on the English department website. Up to three papers examined as coursework (extended essays and dissertation). The remaining papers will then be examined by final written examinations. Essential: Candidates are expected to have English Literature, or English Language and Literature, to A-level, Advanced Higher, Higher Level in the IB or any other equivalent. All candidates must take the relevant section(s) of the Classics Admissions Test (CAT) and the English Literature Admissions Test (ELAT) as part of their application. Separate registration for each test is required and it is the responsibility of the candidate to ensure that they are registered for these tests. We strongly recommend making the arrangements in plenty of time before the deadline. Everything you need to know, including guidance on how to prepare, can be found on the CAT page and the ELAT page. Description: Two pieces of written work, where possible one relevant to Classics and one to English. Candidates will preferably not submit short, timed essays or exercises answering questions on a short passage of text. For general guidance, see our further guidance on the submission of written work. Tutors are looking for curious, independent students with a real commitment to the wide-ranging study and comparison of literatures. The English Literature Admissions Test and written work help us to gauge your analytical skills, and your writing. Successful candidates will also either demonstrate a strong potential for language-learning, if applying for Course II, or existing competence in Latin or Greek, for Course I: these skills are tested by the Classics Admissions Test. Interviews allow us to explore your enthusiasm for literature and the comparative aspects of the course, your response to new ideas and information, and your independent thinking and reading. We expect you to have read widely in English and classical literature (in translation or in the original), and to have an appetite for talking and writing about literature and approaches to it. However we are not looking for any reading in particular: we are interested your own ideas, interests, and in seeing how you think. For more detail on the selection criteria for this course, please see the Classics and English websites. Many graduates in Classics and English have entered fields such as teaching, the media, management consultancy, the law, finance, advertising, journalism, writing, librarianship, or have continued to further study in one or both subjects. For KIS data for this course please see Classics and English. Are you interested in this course? You might also like to consider our other Classics or English courses.